I'm a registered nurse. Reading gives me that escape I need. 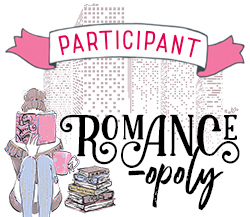 I read primarily romance in all genres. I remember when I was a teen enjoying these Zebra Gothics. So when I found this one, I think it was at a thrift store, I bought it! Either I've changed, or this one was a dud (or it's both those things). I didn't find this that suspenseful. Both Brianna and Gavin annoyed me. Brianna was too stubborn at times. Gavin was too bossy, authoritative. I had to scratch my head at their declaration of love. Huh? They really didn't talk or interact much. When they did, Gavin was condescending (IMO) towards Brianna. I really didn't learn much about either character. I could tell you Gavin was a doctor and Brianna a dedicated daughter to her father. But that's it. This was very superficial. I also didn't like that Gavin (supposedly) is engaged to Lynette and pursues Brianna. This mentioned the different hotel dining rooms- 1 for guests, and 2 for the workers- 1 for white, 1 for colored. And that was it. Nothing else. Oh, and mental illness can be cured if someone cares enough for you. And the title. 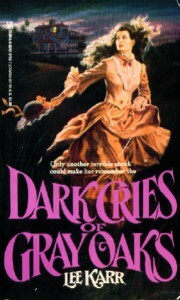 Gray Oaks is the sanitarium up north (Pennsylvania if memory serves) where Cassie was. This book doesn't take place there at all. It takes place in St Augustine, FL. So, ????? I'm using this for the Southern Gothic square for Booklikes Halloween Bingo 2018.